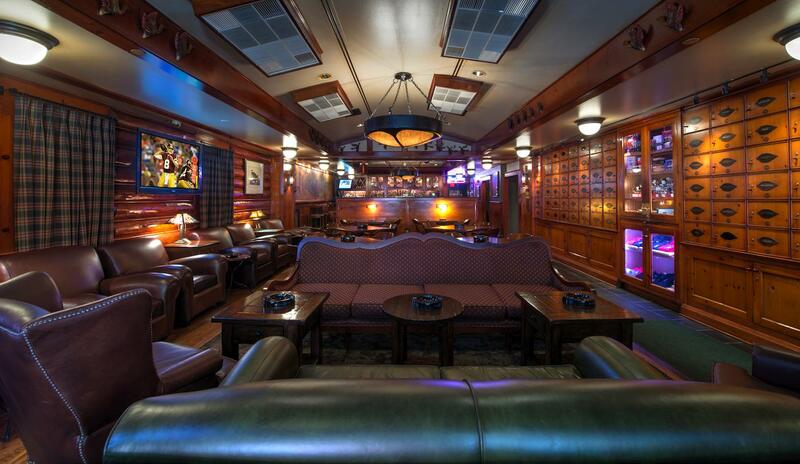 Shelly's Backroom | Cigar connoisseurs puff away in this clubby lounge featuring humidors & a lengthy whiskey list. Shelly’s Back Room™ has over 200 humidors available for annual lease. Located along the walls of both dining rooms, they provide easy access to your cigars and preserve them so they will be at their peak when you care to smoke them. Note, in order to maintain our status as a smoking establishment, Shelly’s Back Room™ is required by District of Columbia law to meet certain sales requirements for tobacco products. We ask that all leaseholders purchase a minimum of $150.00 in cigars annually from the Shelly’s Cigar Menu. Interested in leasing a humidor? Download the lease contract here (Note: Humidors in the “new” dining room are larger than those in the original dining room, hence the price difference). For more information call (202) 737-3003.